February 21, 2014 | Lens cap....off! One thing that I love about photography (whether you’re good, bad, indifferent or still learning) is that sometimes the most ordinary things take on a different look through a camera lens, and what is captured is altogether surprising and beautiful. Folks nail “that picture” all the time. It’s a bit more of a surprise when it happens for me. I took this picture from inside my car, listening to an audiobook as I waited for my daughter to get home from school. I had left work early enough hoping to catch her as she walked home, and I thought I might get to snap a few pictures of her completely unaware (stalker much?). Sadly, I became so engrossed in the random pictures I was taking (or was it while I was first playing Candy Crush?!) that I COMPLETELY missed her walking up and into the house. I was in the driveway and failed to see my own daughter come home. Jeesh. So anyway. While I was knee deep in blissful ignorance, I started taking random pictures. 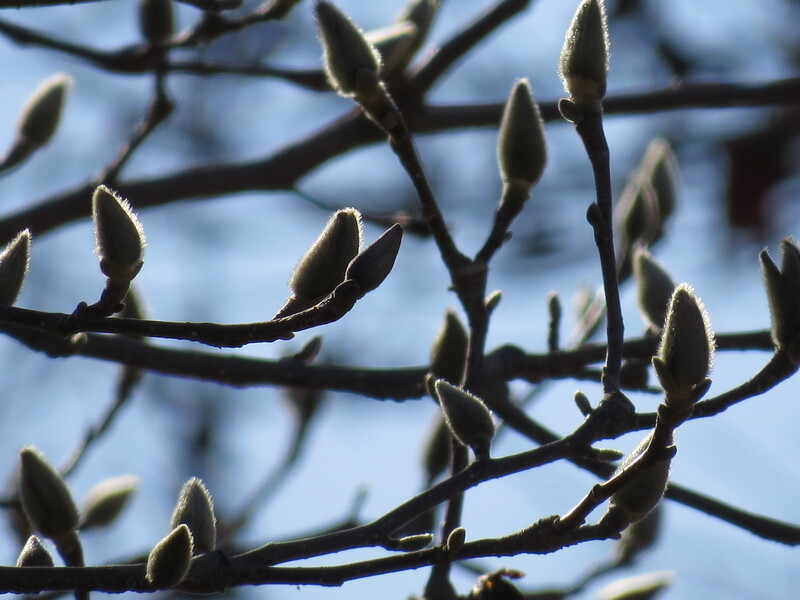 I then started focusing on one of the trees in my front yard when I noticed the buds on the branches. They seem to be a bit anxious for Spring. I can relate. This isn’t an extraordinary picture by any stretch, but I really like the light. I really like that I can see the little fuzz on the bud. They are aimed at the sun, almost as if they are pleading to speed up time. Day 52, ready for Spring.